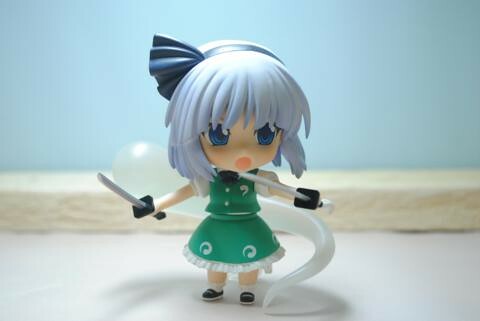 Youmu got quite a lot accessories, mainly sword (longer one named Roukanken, and shorter one named Hakurouken) in unsheathed and sheathed version; alternate hands and arms; alternate faces; and emotion stickers! 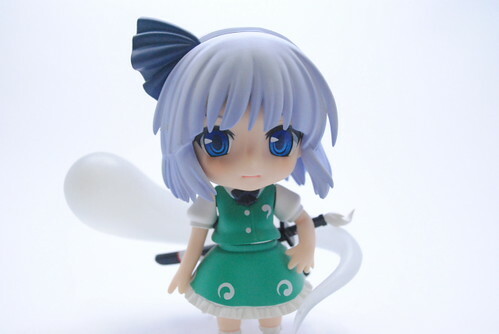 If you notice something white behind her, it’s her half phantom (named “Myon” by fans). her stand, pretty simple yes? 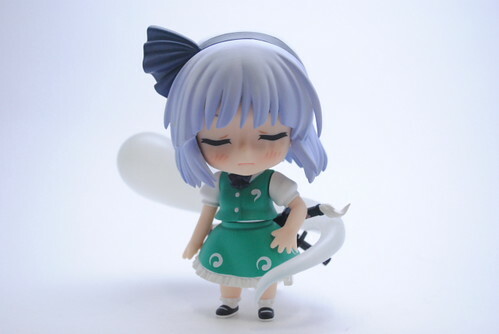 I’m sorry I didn’t took the pic with her battle face ._. With Roukanken and Hakurouken equipped, ready to face off any intruder to Hakugyokurou! 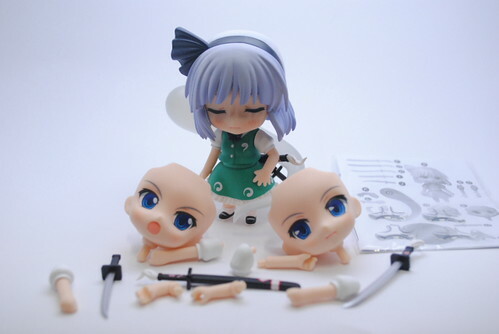 This entry was posted in Review and tagged konpaku youmu, nendoroid, touhou project.